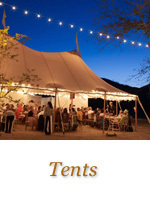 Tour de Tents offers a wide variety of tents, tables, chairs, linens and much more for your party needs. 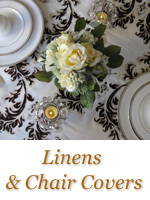 We specialize in weddings, luncheons, ceremonies, receptions, bridal showers, couple showers, baby showers, corporate events, festivals, craft shows, theme parties, birthday parties, rehearsal dinners, engagement parties, graduation parties, and everything in between! 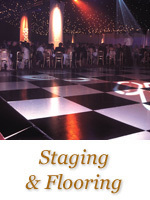 Let us help you furnish your next event! 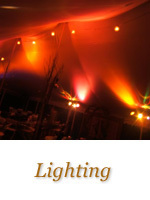 Click the links below to browse our selection of available rental merchandise. 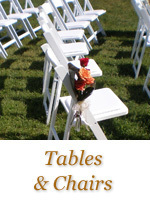 Contact us for more information regarding rental availability.